Take a role of the successful novelist Dana Knightstone and go to the Italyto reveal the secret of the death that happened in the 19the century. Young girl named Eva died of a mysterious illness and her desperate beloved named Giovanni left everything behind and went to find the cure! The problem is that he didn't come back and Eva's ghost is walking around the university in Tuscany. Explore beautiful scenery, show your best Hidden Object skills and reveal the secret in this fantastic game Death Under Tuscan Skies: A Dana Knightstone Novel Collector's Edition! 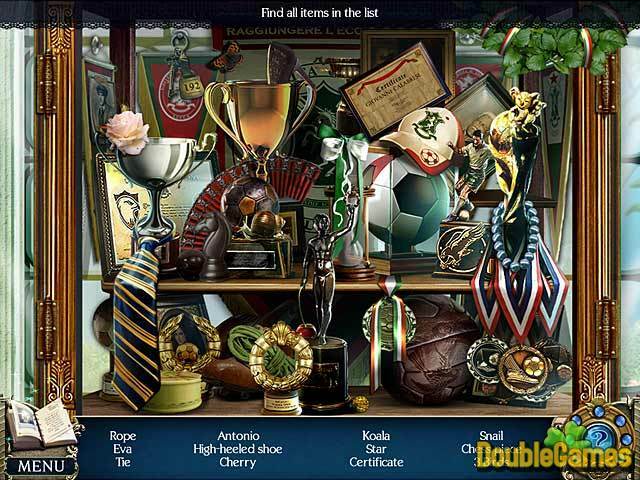 Title - Death Under Tuscan Skies: A Dana Knightstone Novel Collector's Edition Game Download for PC and Mac Description - Acquire Death Under Tuscan Skies: A Dana Knightstone Novel Collector's Edition, a Hidden Object game made by Big Fish Games. 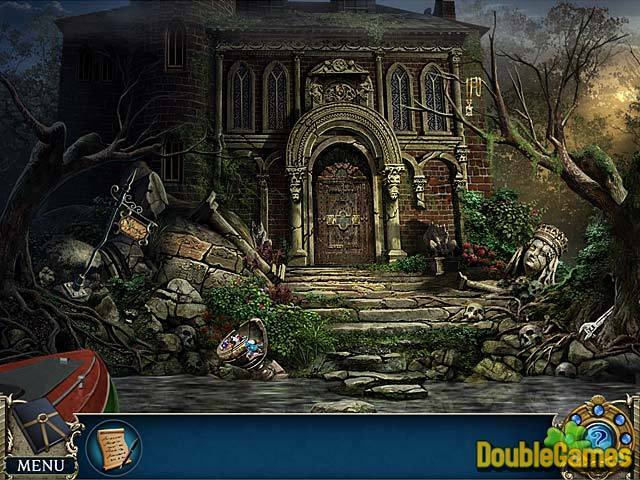 Could you reveal the secret of the mysterious death and no less mysterious disappearance? 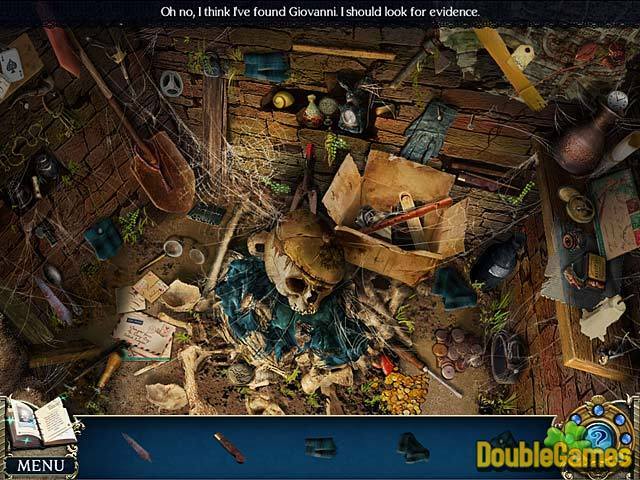 Although Death Under the Tuscan Skies: A Dana Knightstone Novel is defined as a hybrid game, it’s a classical adventure packed with piles of puzzles and mini-games, and a number of hidden object scenes. All chapters of the story is well-thought and wanders around beautiful, interesting locations. Each chapter implies a lot of back and forth, while presenting another scene. The puzzles are a nice mix of different types of puzzles. However, they might seem a little too easy due to extremely generous hint system. Even on advanced level instructions are always visible and hints refilling too fast. Hidden object scenes are clear, maybe too clear, provoking little interest. In spite of creepy subject matter, Death Under the Tuscan Skies: A Dana Knightstone Novel is not a hair-raising type of game. It is a hasteless, somewhat romantic mystery that plunges you into wonderful world of adventure. Honestly, the mystery itself is not so mysterious, however, intriguing enough to grab you during the whole game. Haunting and touching music accompanies you through incredible wonderful scenes, from the gloomy university library to a picturesque Tuscan countryside. Gorgeous graphics and appropriate moody tunes make an effective combination there. Still, it might seem a bit easy to play but astonishing visual of beauty will smooth some drawbacks of gameplay. If you don’t know how to spend one lazy Sunday, Death Under the Tuscan Skies: A Dana Knightstone Novel will be a good choice. Enjoy!